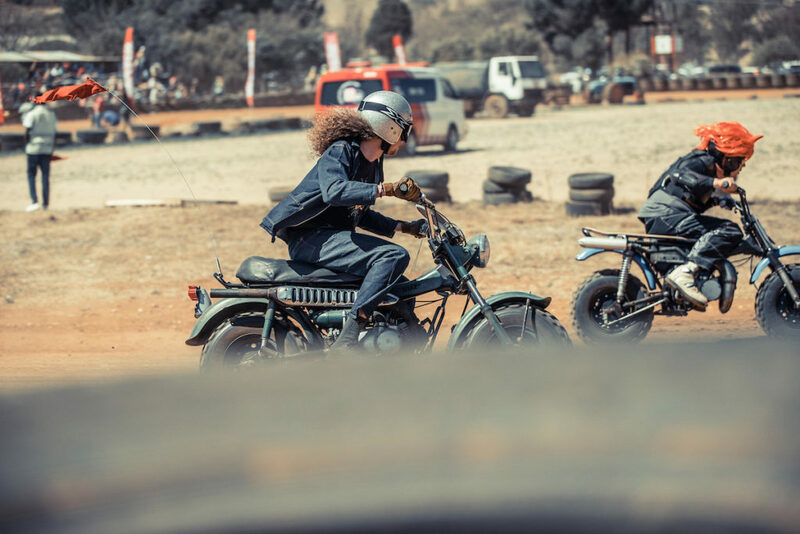 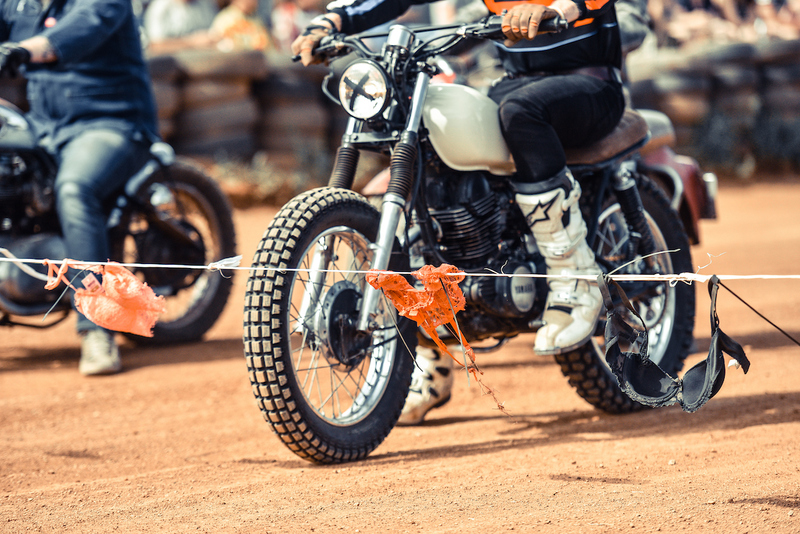 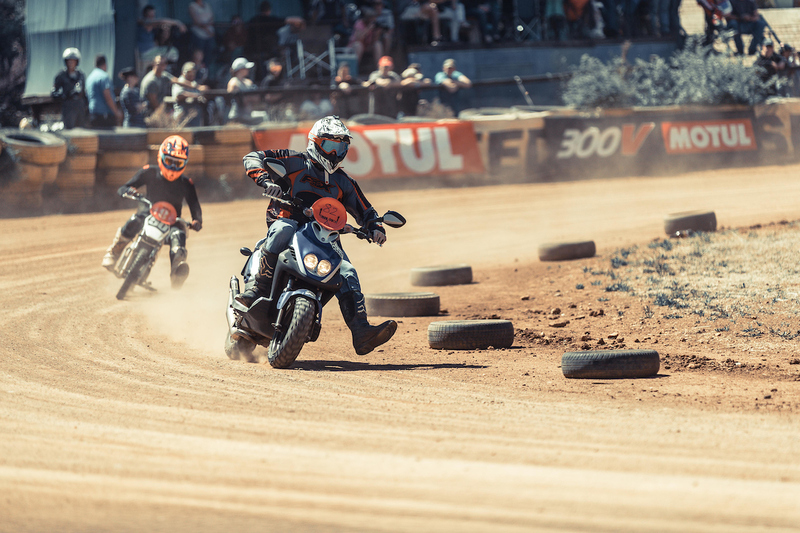 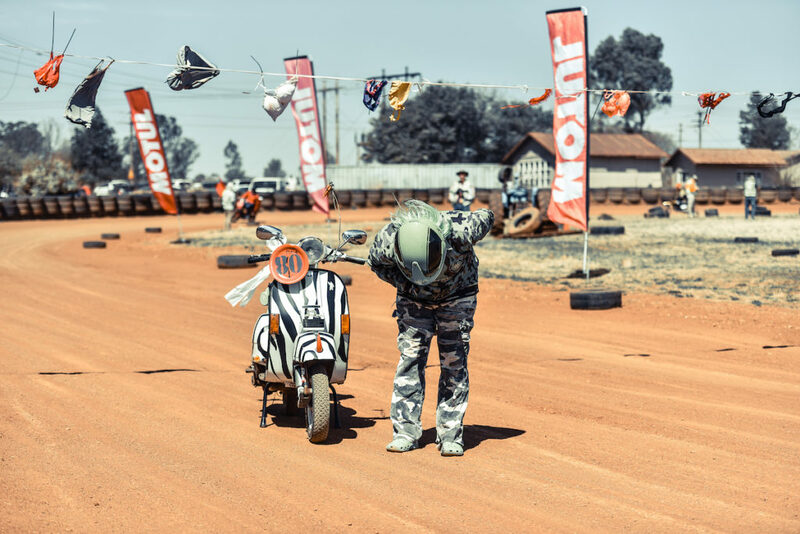 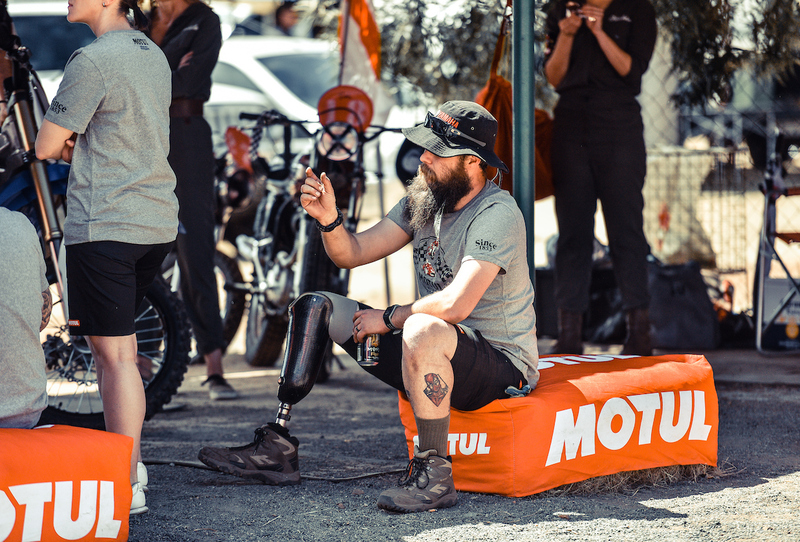 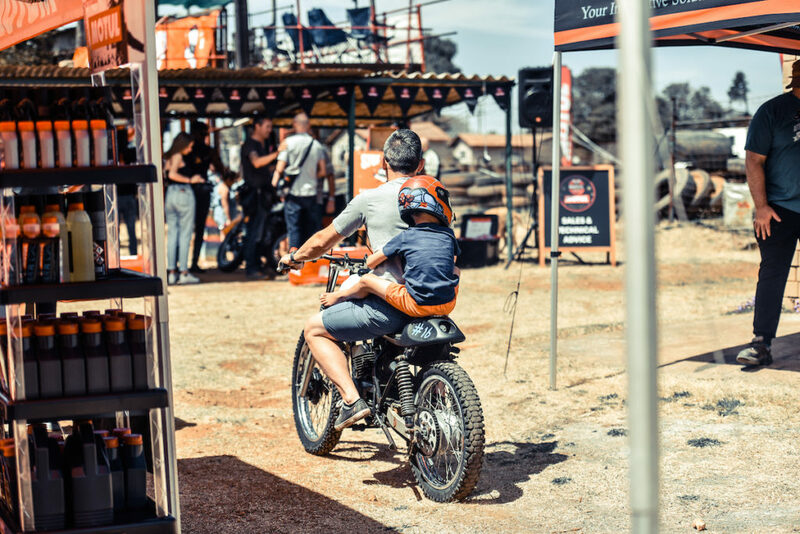 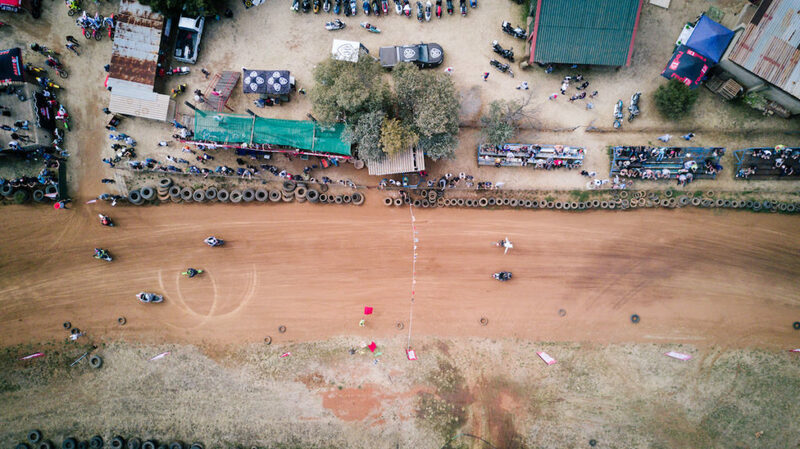 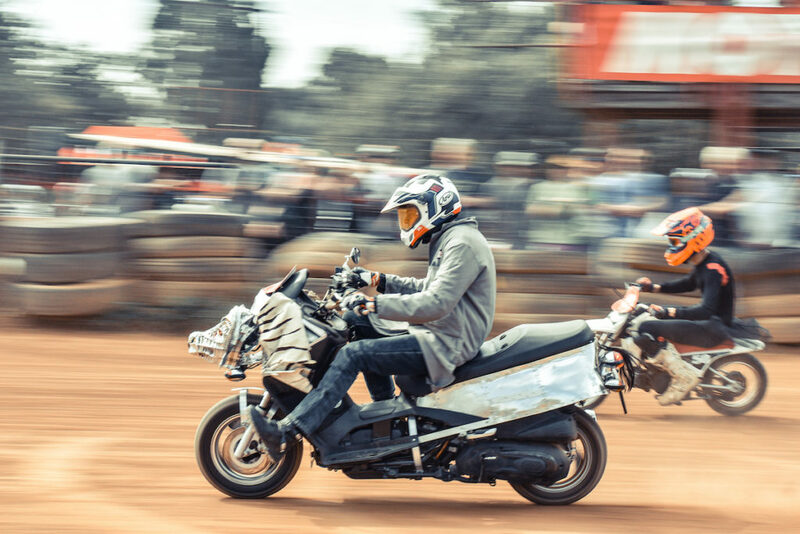 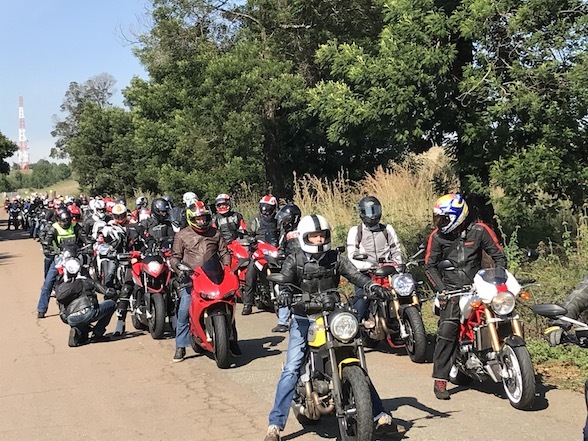 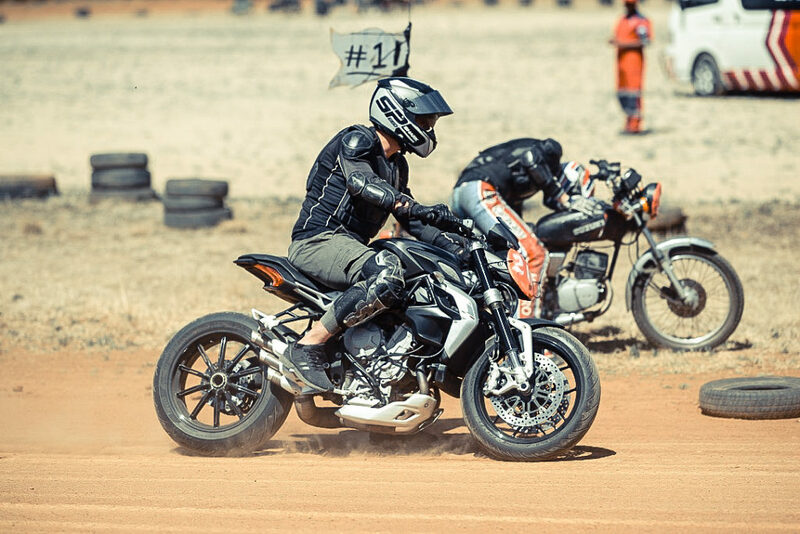 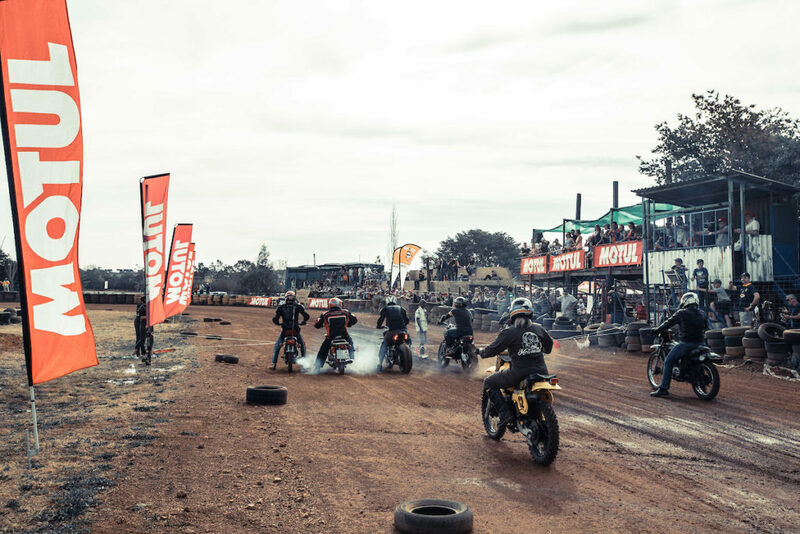 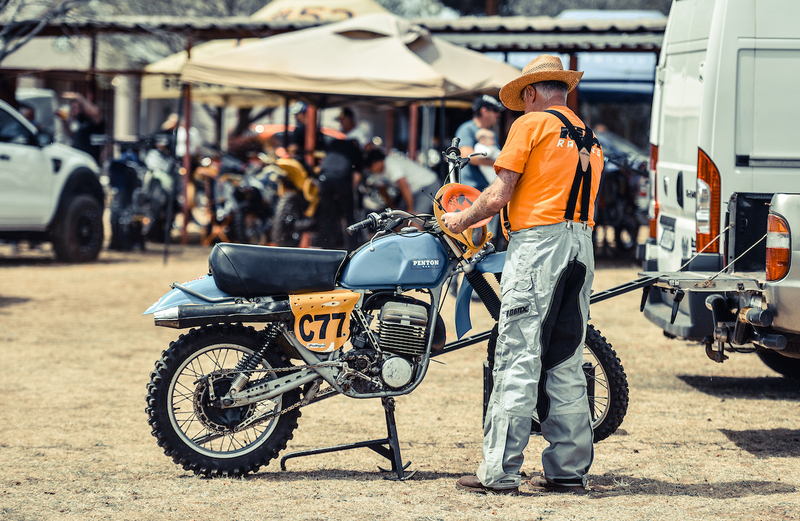 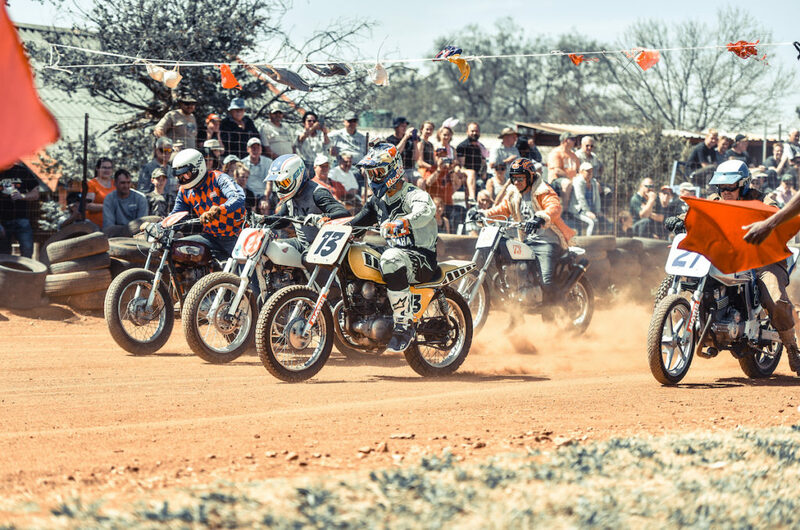 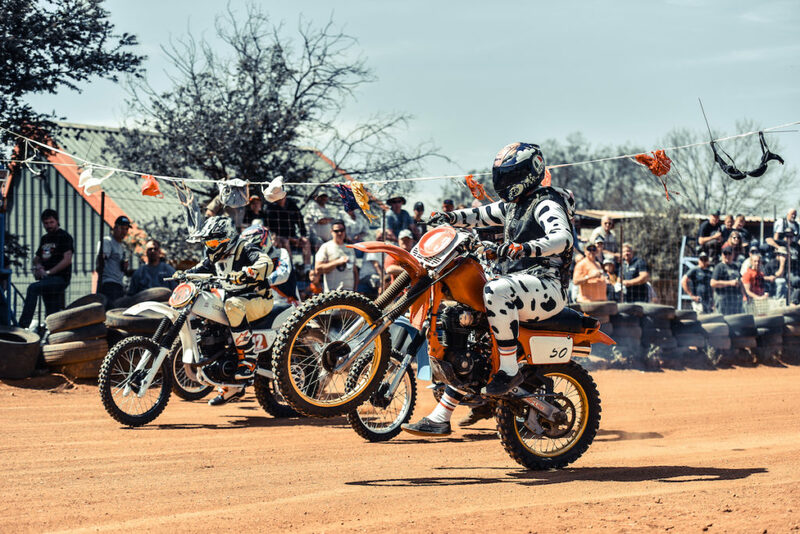 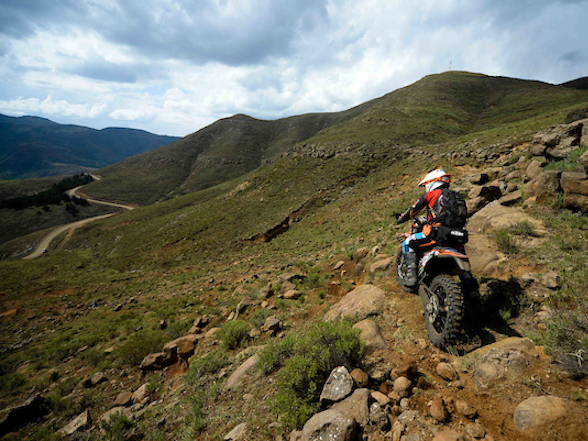 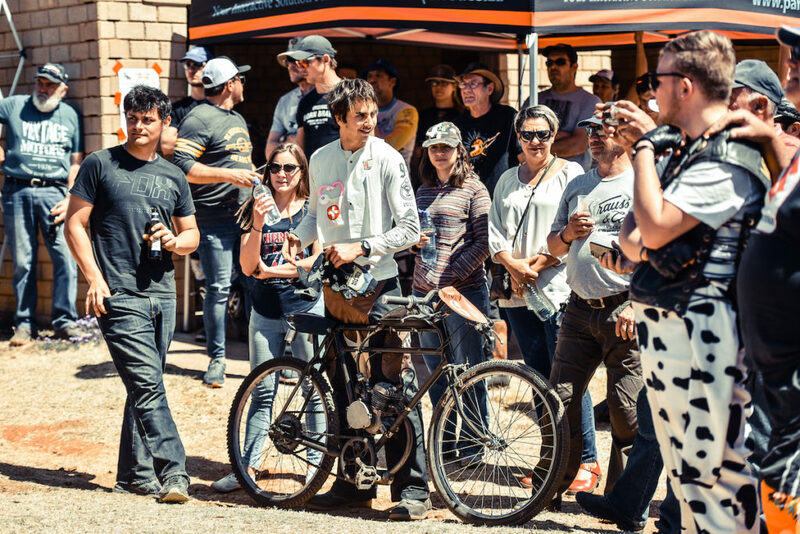 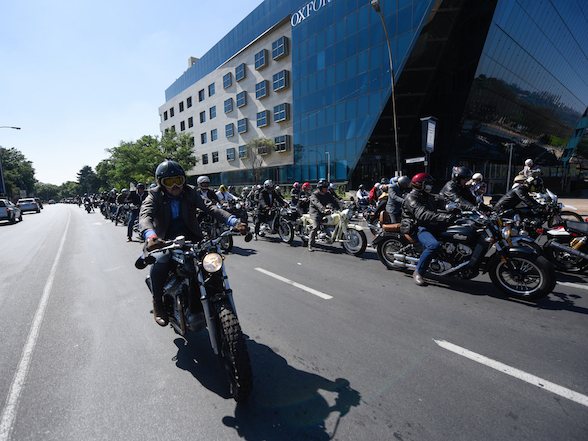 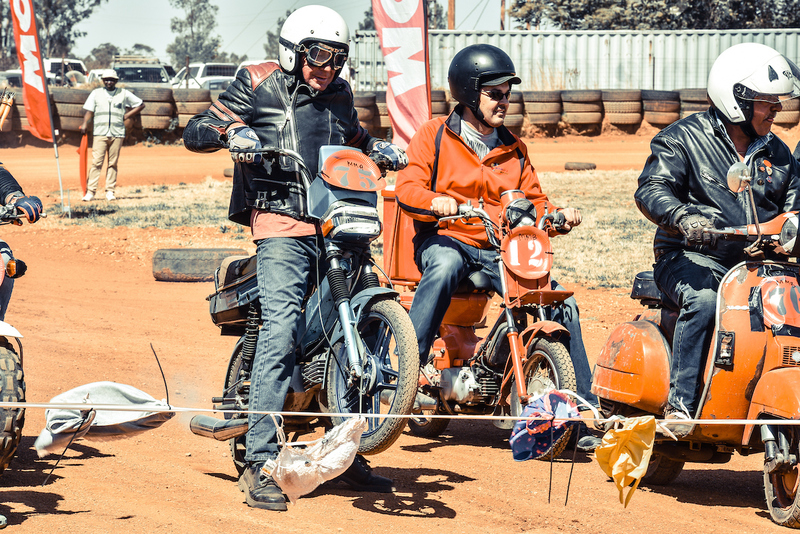 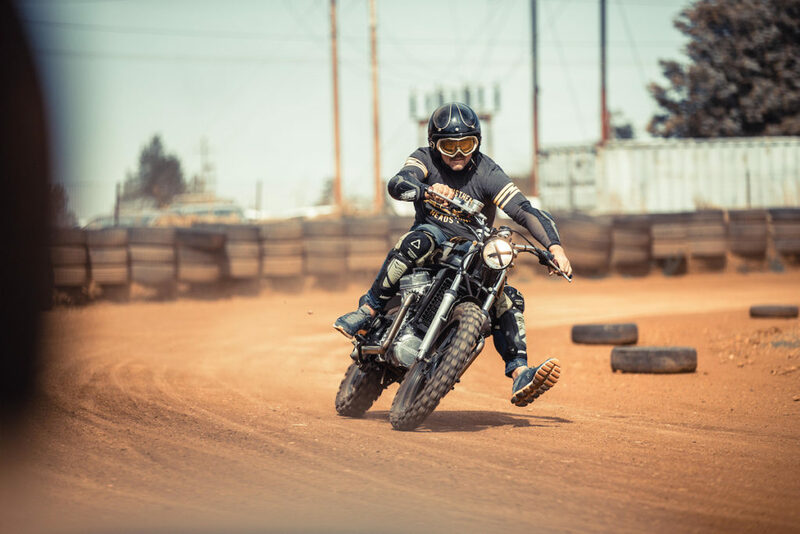 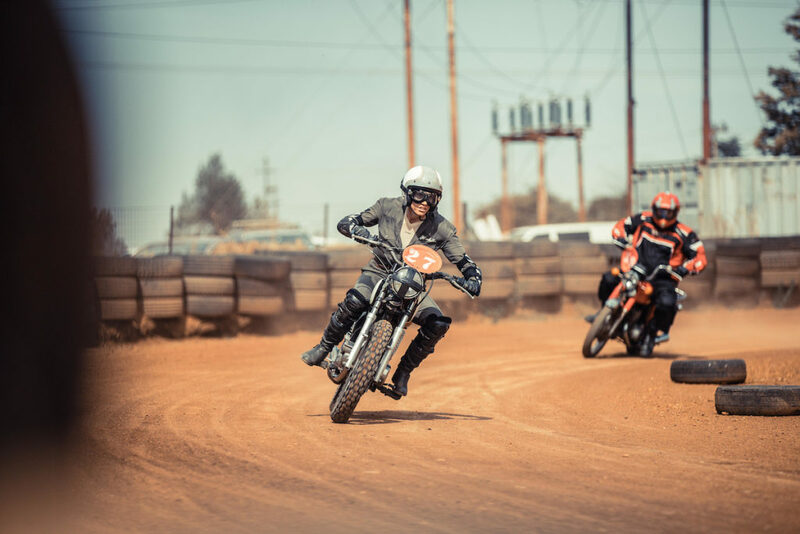 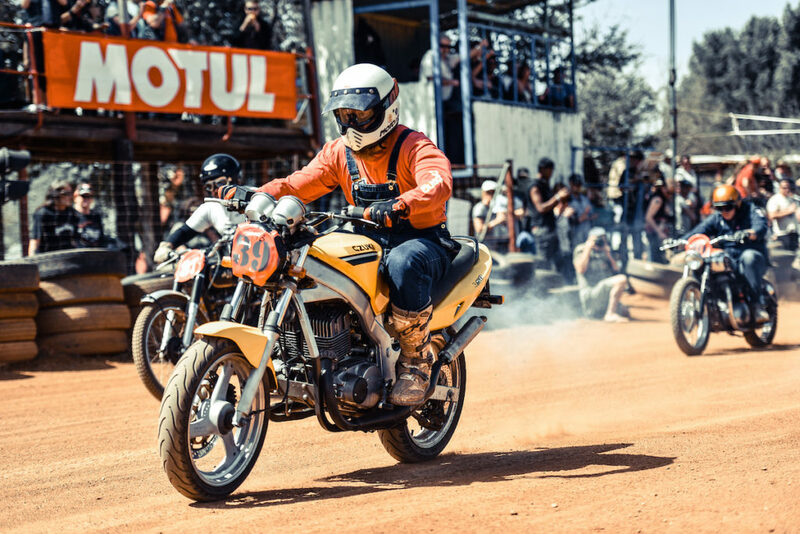 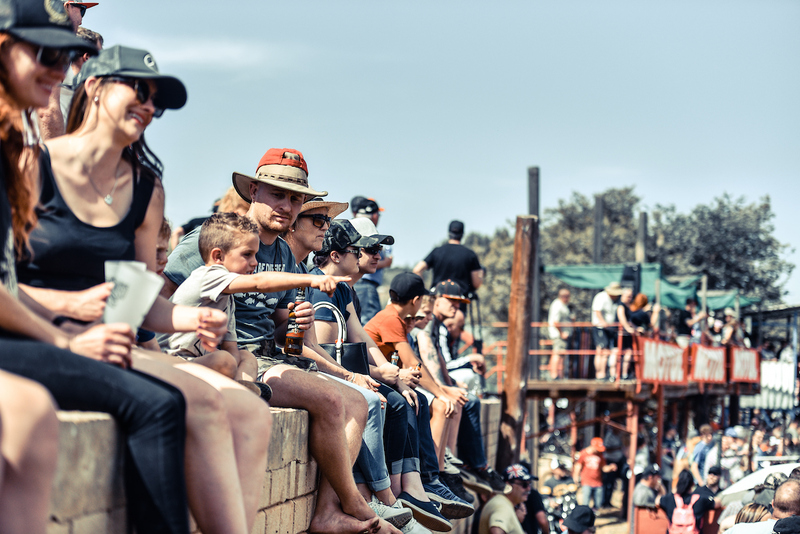 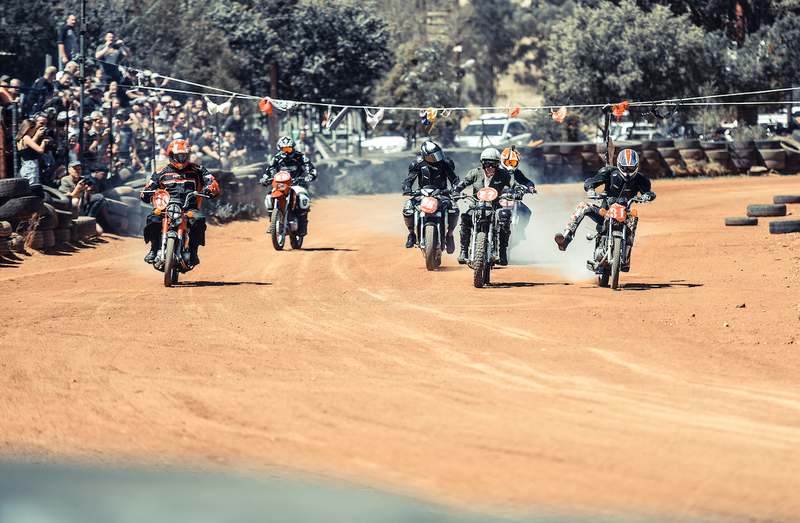 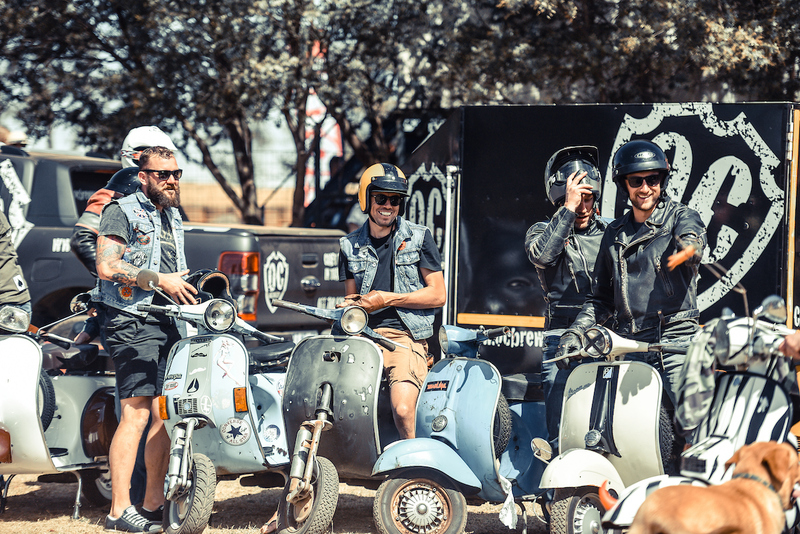 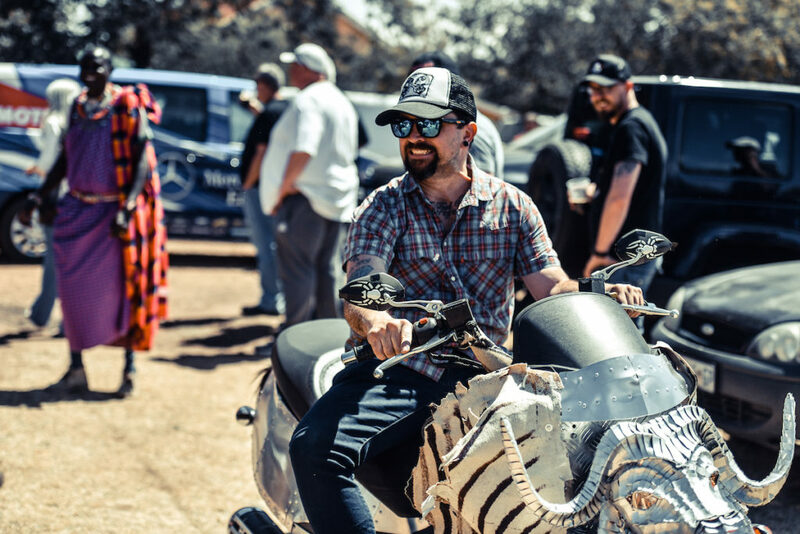 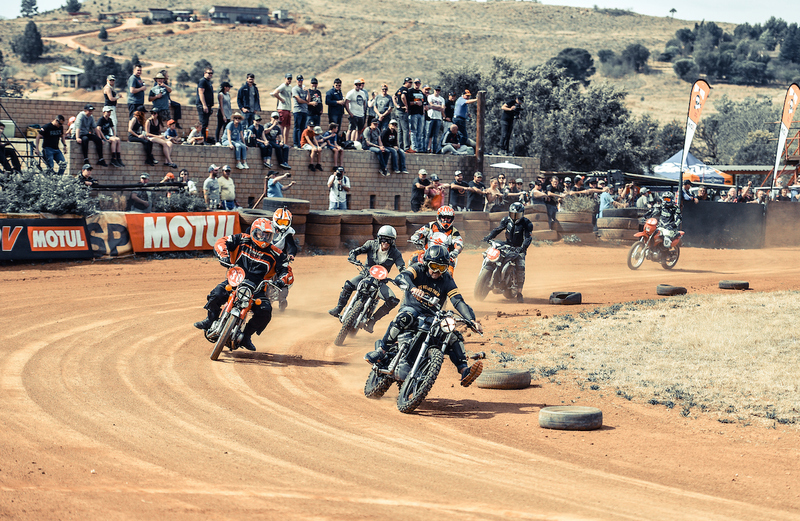 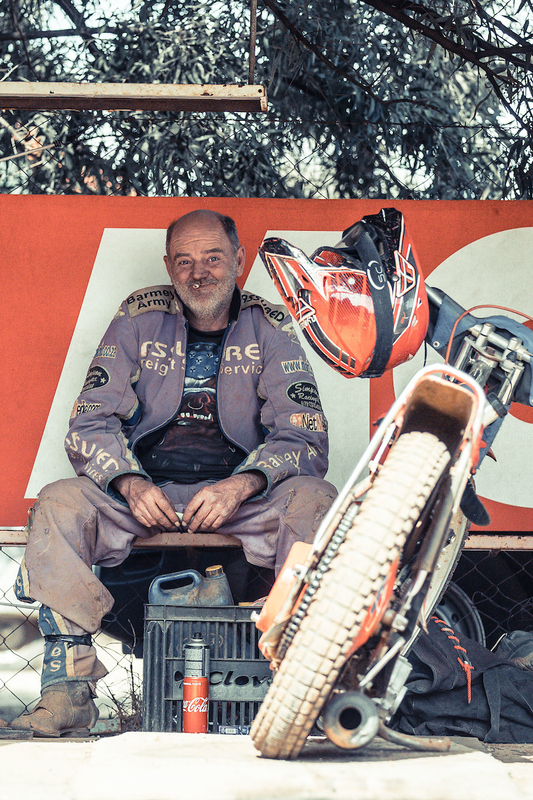 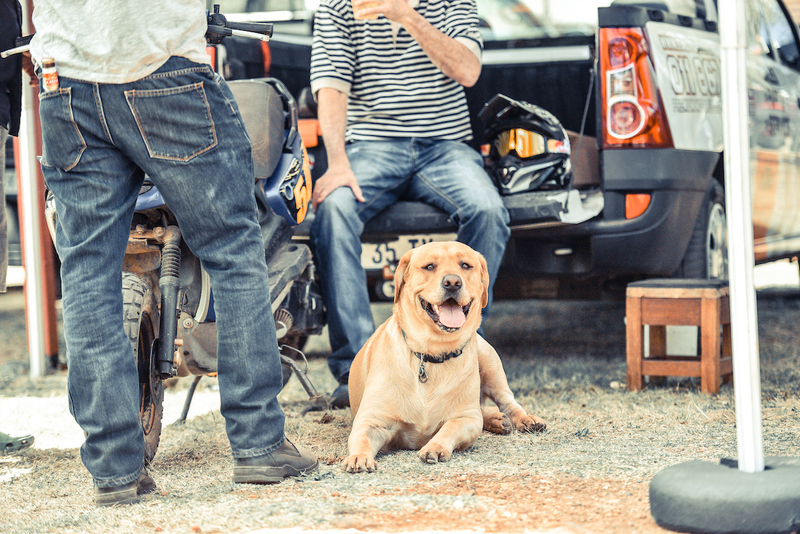 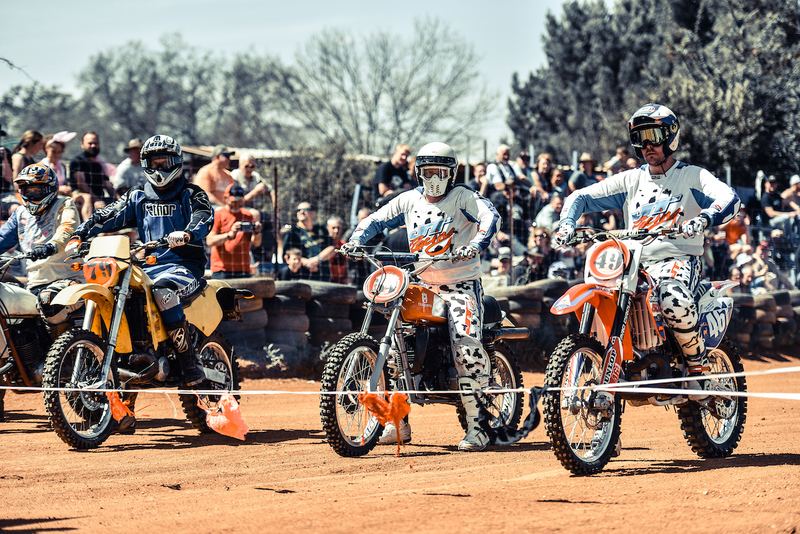 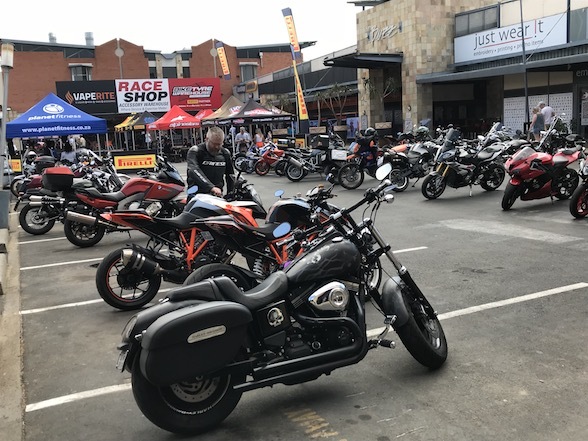 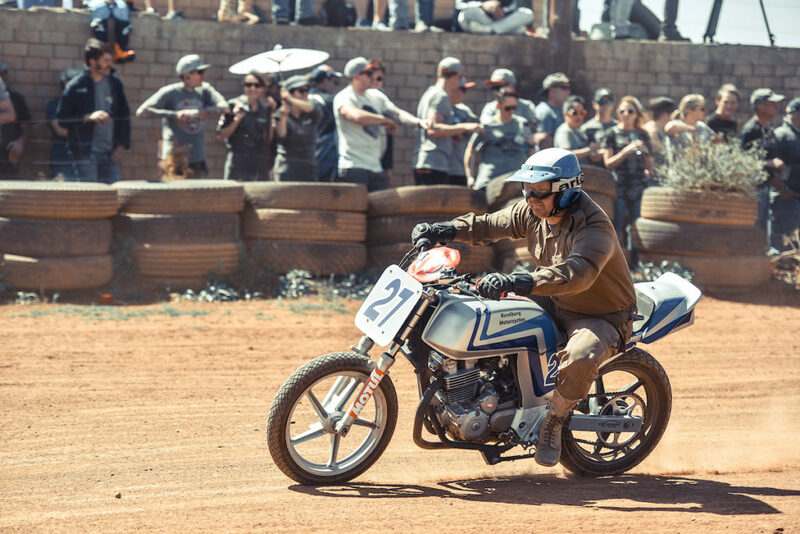 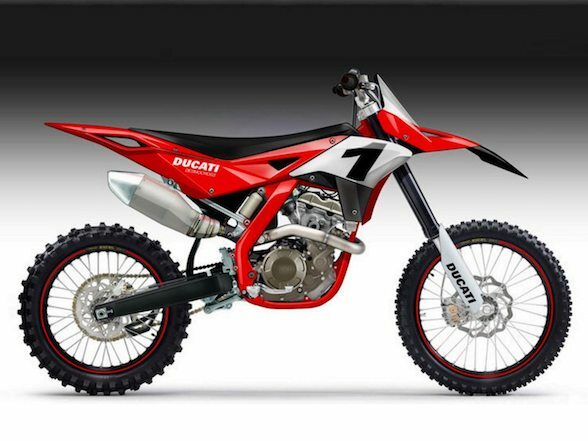 With entries and spectators increasing year on year, The Grand Walkerville Stofskop is proving to be one of the most popular events among motorcycle enthusiasts and curious visitors alike. 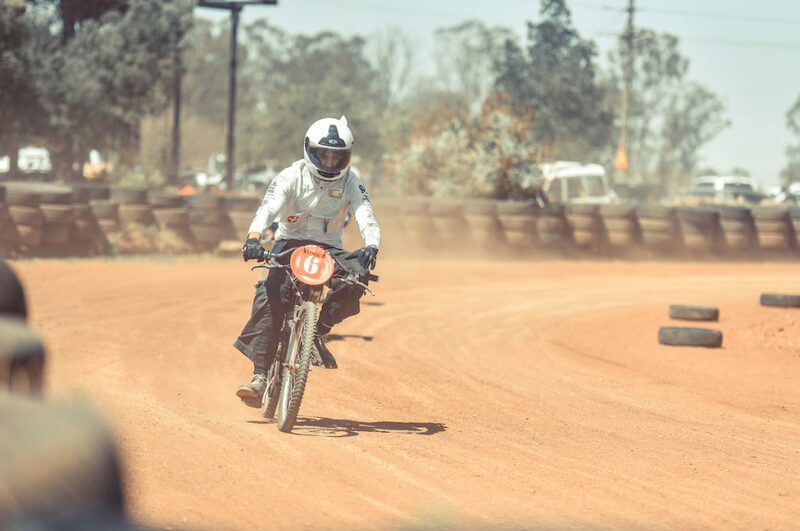 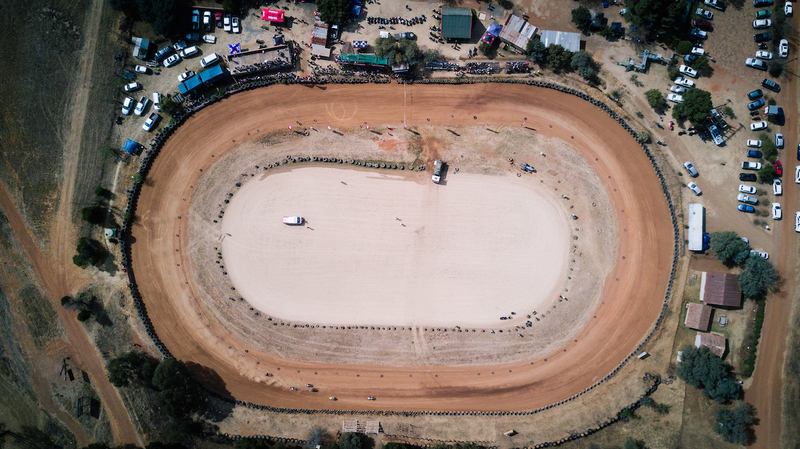 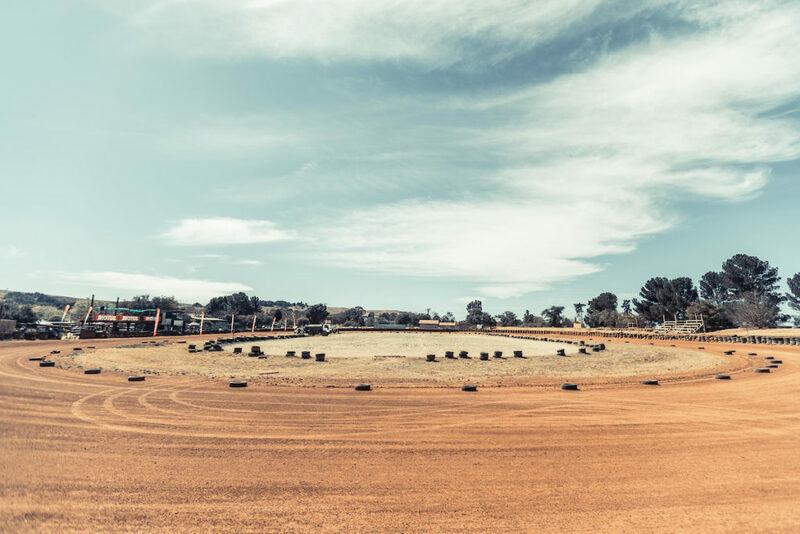 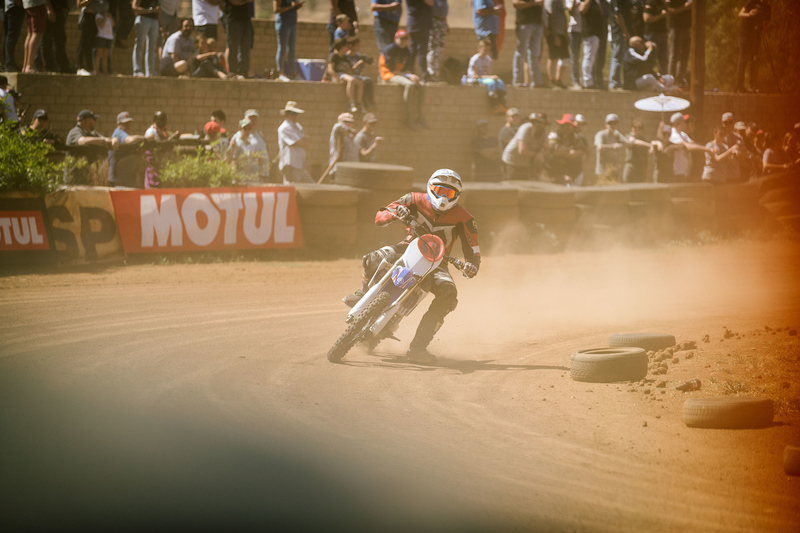 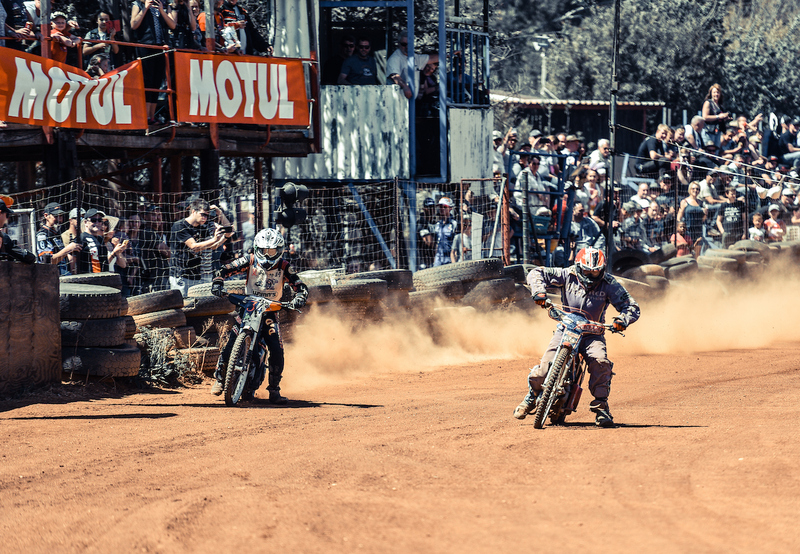 Held at the Walkerville Show Grounds in Johannesburg, the oval dirt track event with the pay line “In Dust we Trust”, drew large crowds on Saturday 15 September with entries booked to capacity in advance. 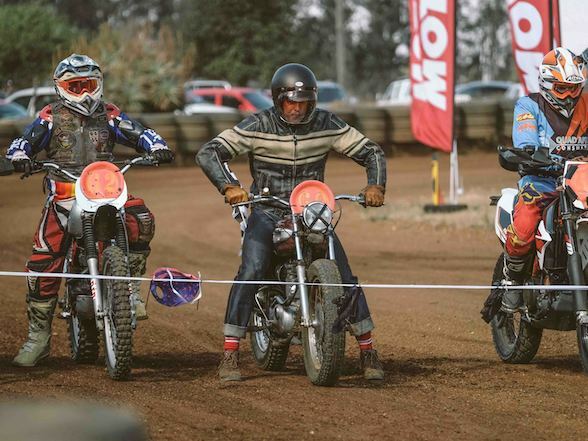 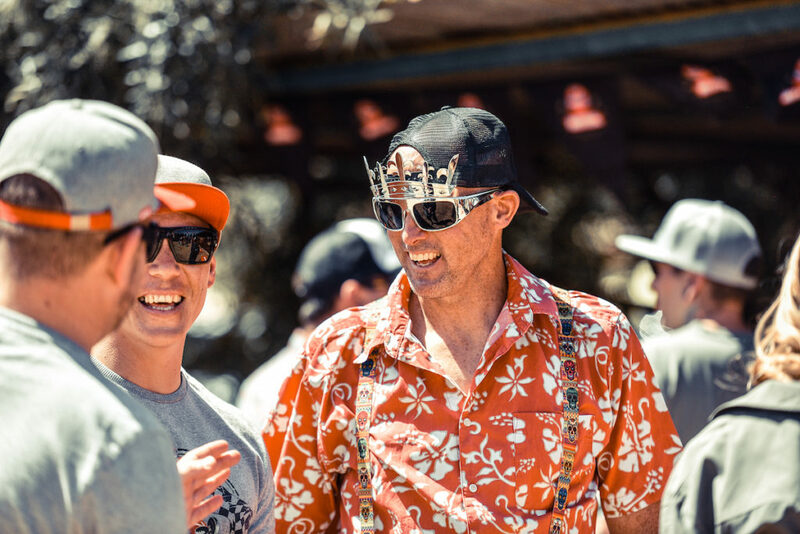 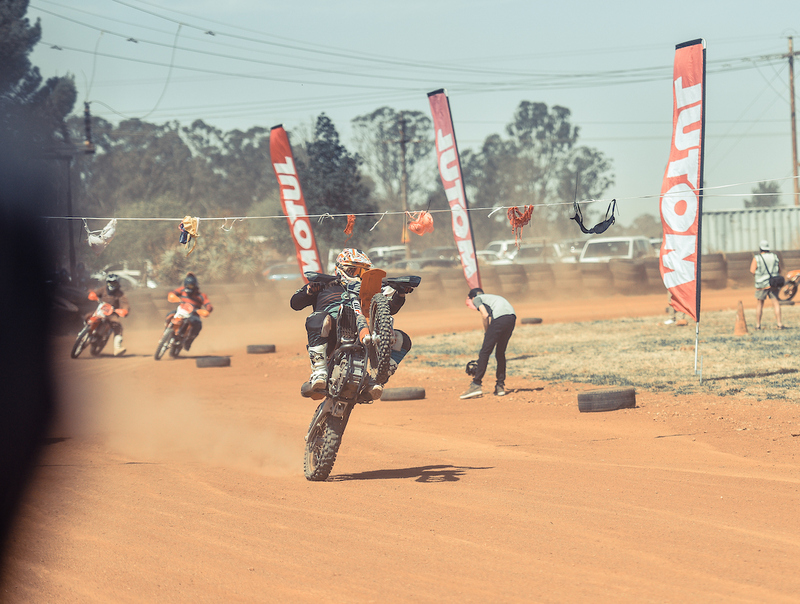 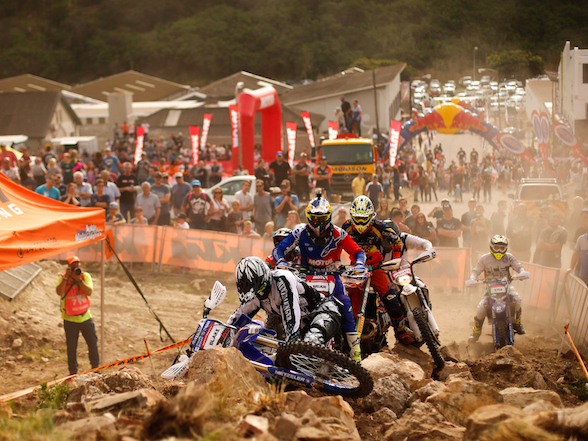 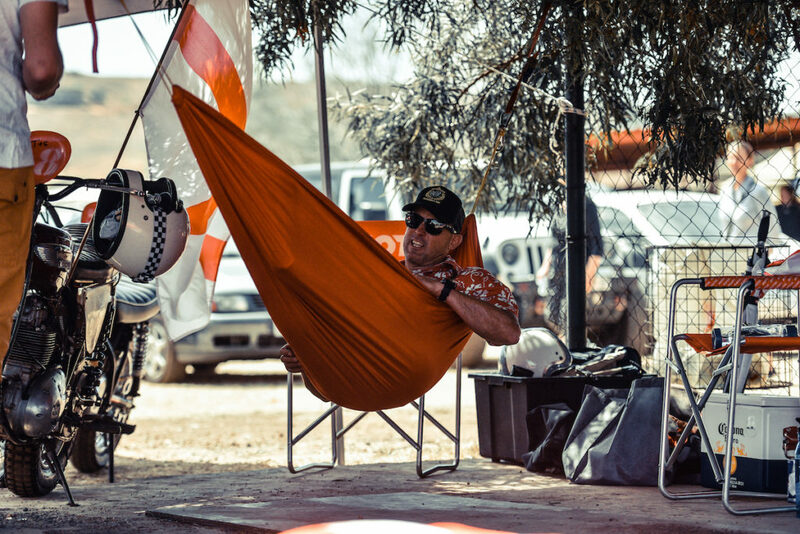 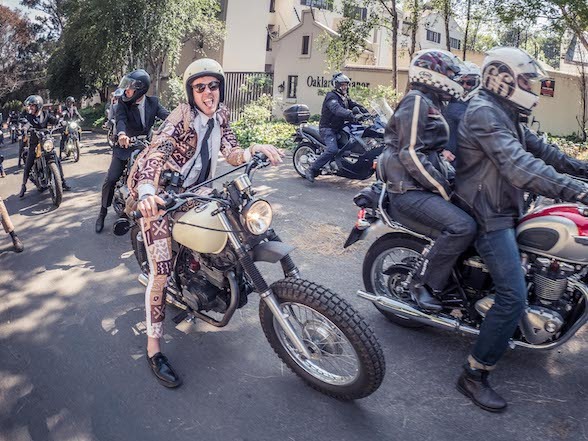 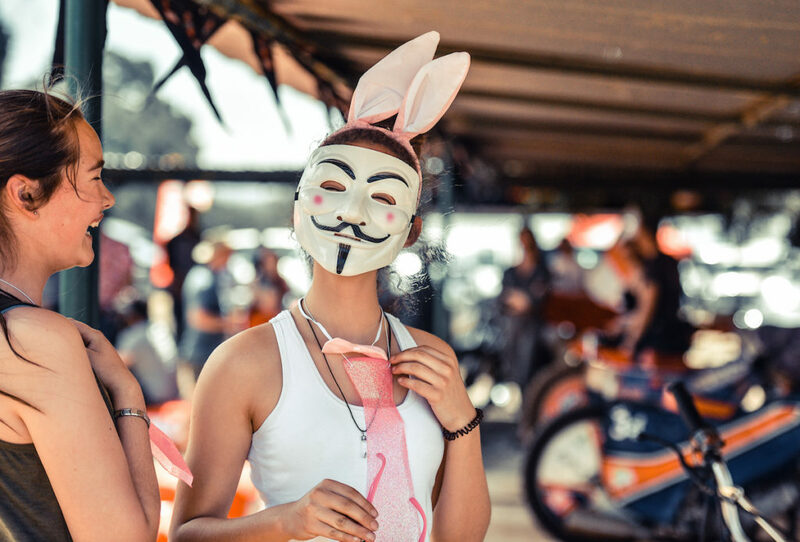 Stofskop is all about adrenaline and taking part, with a funky, super-relaxed vibe thanks to slightly crazy competitors and their wacky riding gear and this year’s event did not disappoint. 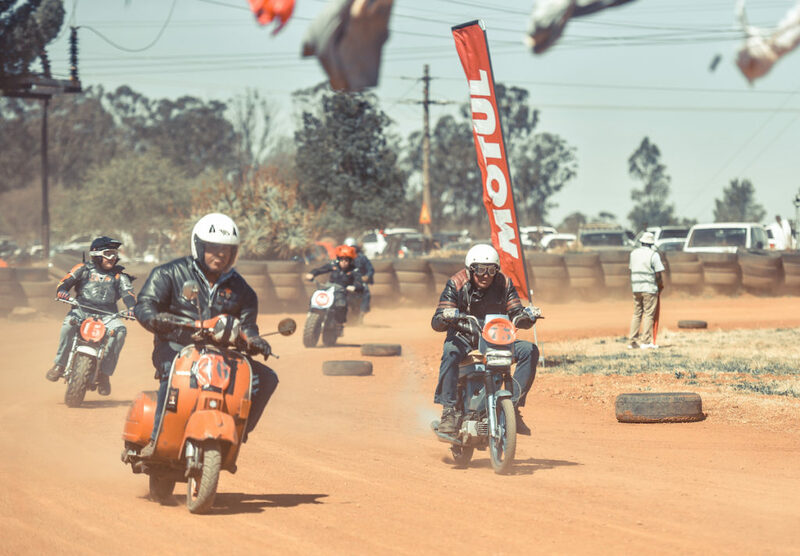 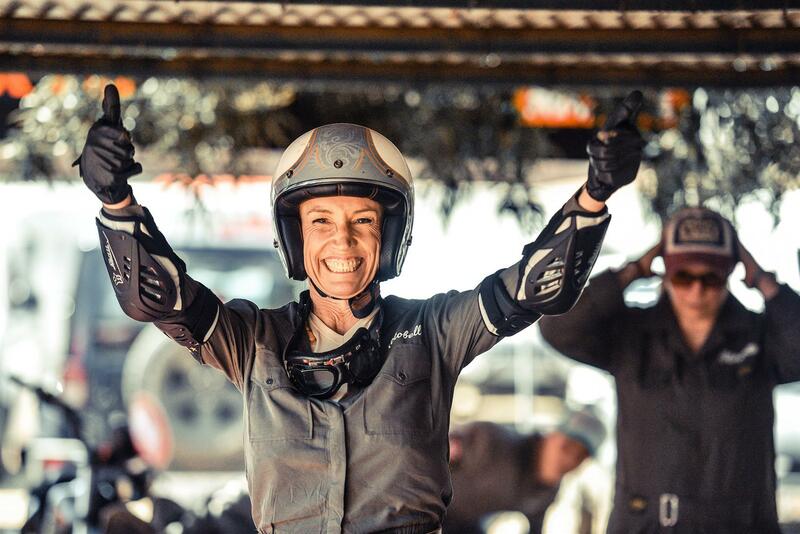 One of Saturday’s highlights included Mercia Jansen, Motul’s Manager for Southern and Eastern Africa, being one on the fastest riders in her class, the Inappropriate Road Bike class. 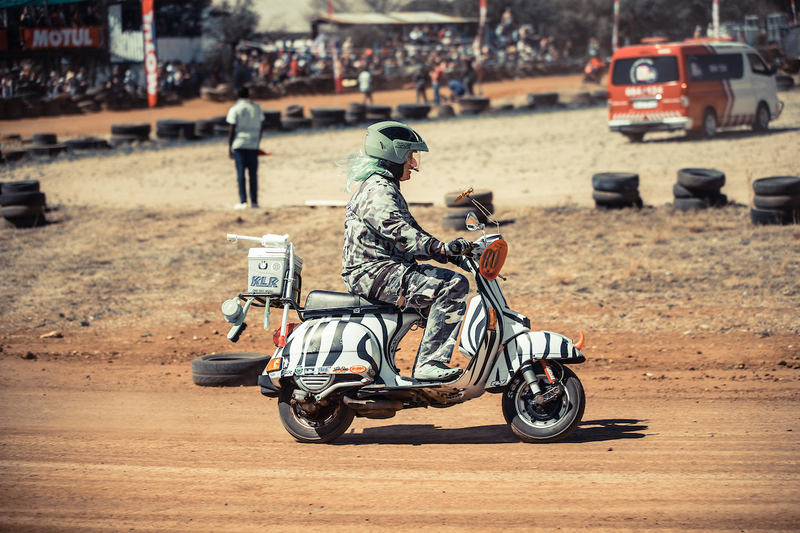 Other highlights included the attendance of the Vesperados Scooter Club who arrived in their droves on Vespa scooters and put on a great display of fearless riding on the oval. 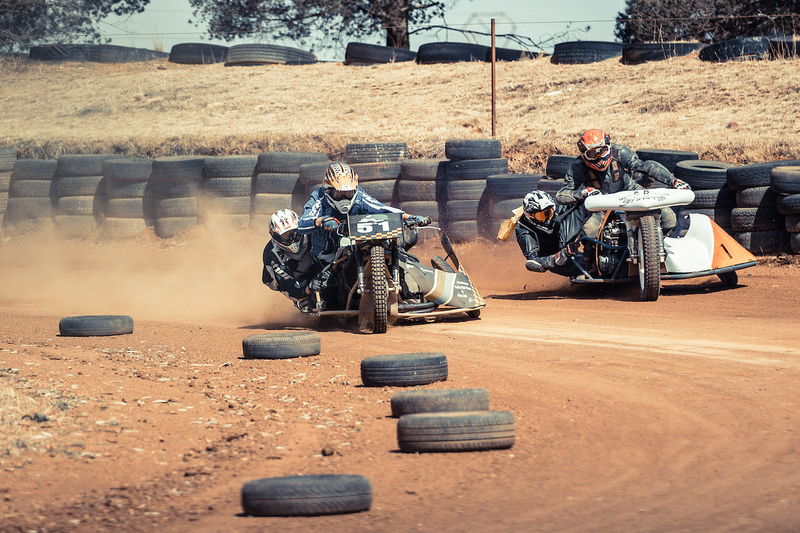 Spectator favourites included the speedway sidecar exhibition ride with the two person rigs reaching speeds of 90km per hour…. 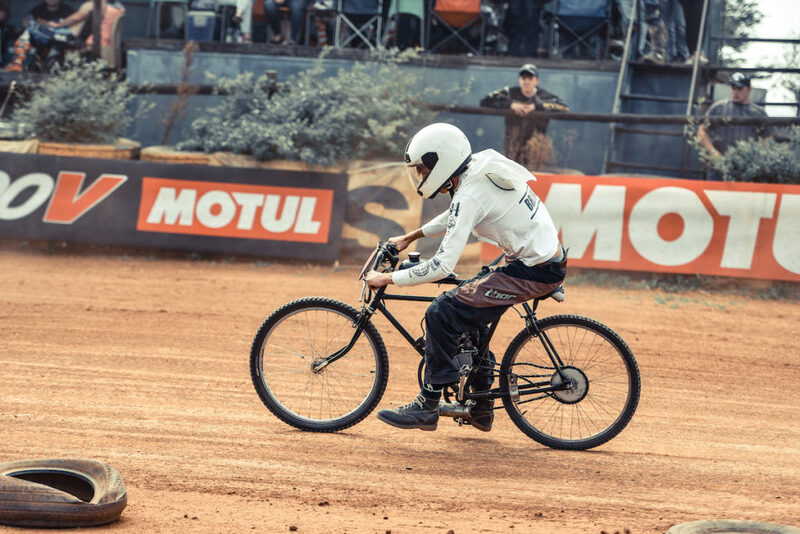 with no brakes! 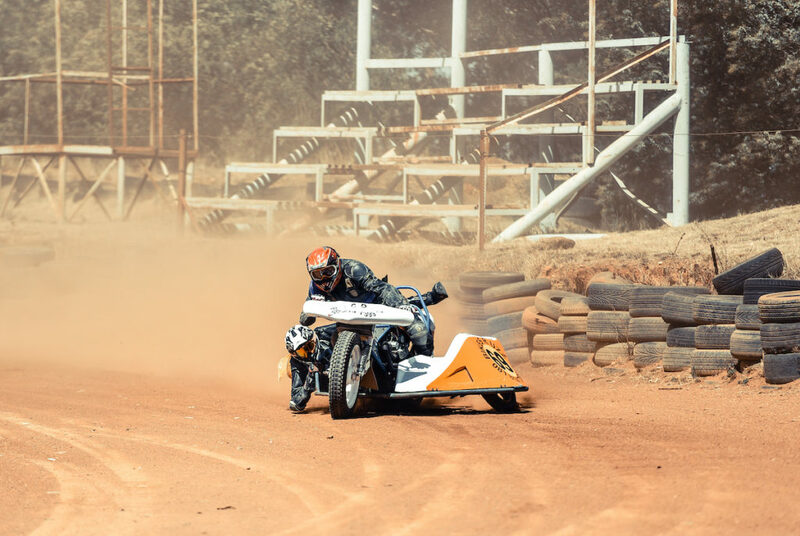 There was a heart-stopping moment when one of the sidecars rolled mid-corner but no-one was hurt and the incident just added to the excitement of the day. 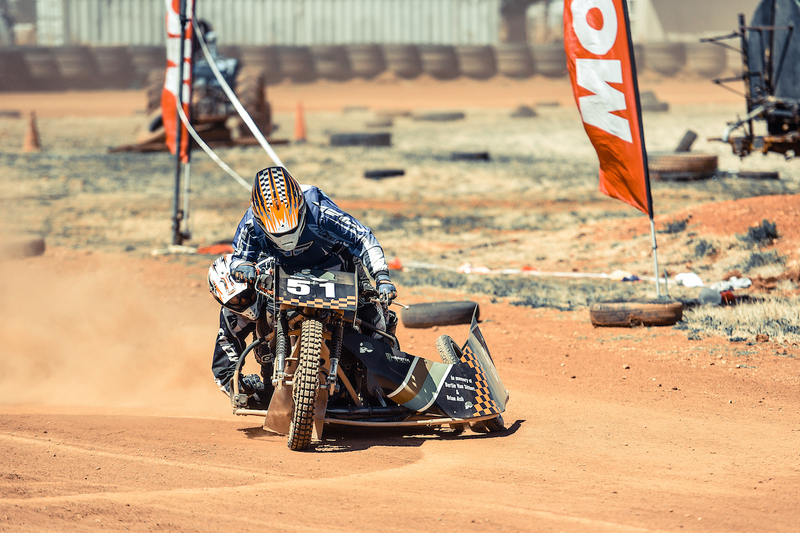 “The exhibition laps allow spectators to see the speed of the sidecars up close and admire the skill of the both the rider and passenger controlling the outfit,” explained Chris Shelvey, event organiser. 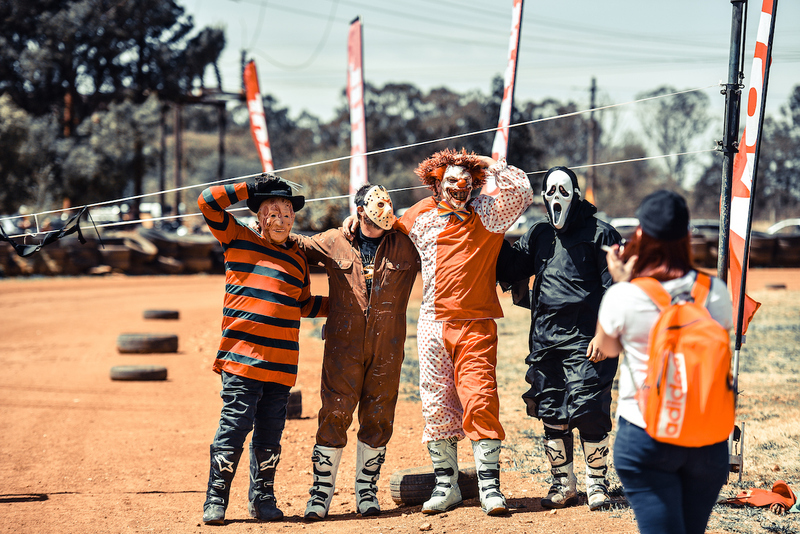 “Having a good time is what Stofskop is all about and we are happy that we achieved that this year,” he concludes. 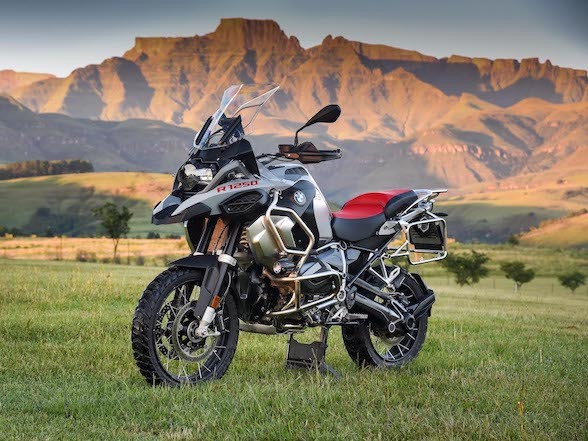 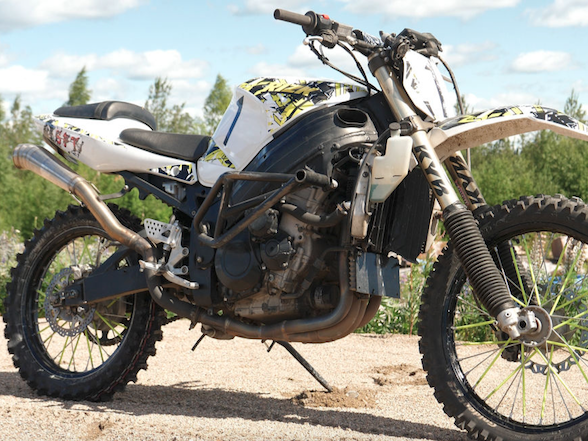 Next Post Triumph Tiger 1200: "is a genuine contender for best all-round adventure bike"